Come join Whitney Gould, Jason Hartwick and Rich Zellman on the mighty Klamath River, and be engaged in all things spey/all things steelhead for three days of on the water guided instruction. We designed the Jefferson Spey Sessions to target sink-tip and floating line spey cast fundamentals, both for those who are developing new skills and those who want to continue to evolve and refine what they already know. No spey casting experience required. Enjoy three nights of lodging at the historic Klamath River Lodge, which sits atop two prime steelhead runs. 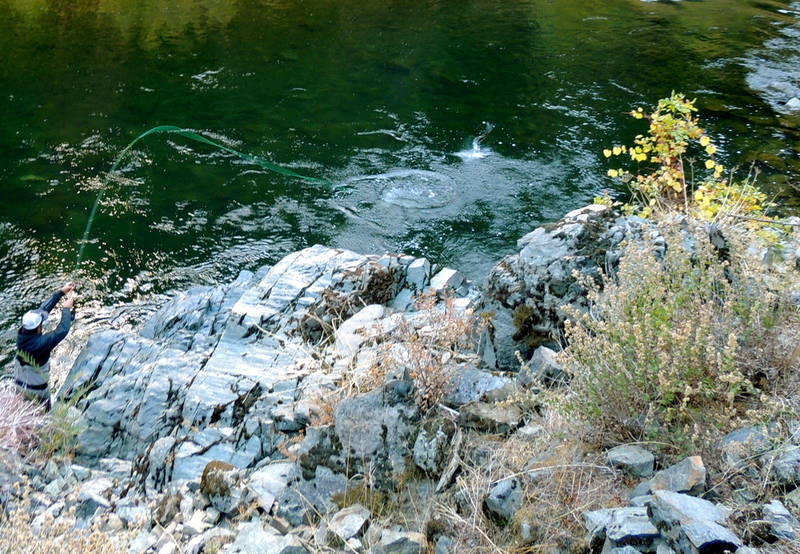 Built in the 30’s, by a steelhead fly-fisherman so that he could revel in the spoils of the lower Klamath. Sold in 1964 to the present owner, the lodge now is a staple among fall steelheaders and rarely has a vacancy from September on. Guests return year after year. Rustic cabins nestled amongst the trees offer, clean, comfortable rooms and all the necessary amenities, at double occupancy. Jason, Rich and Whitney are excited to share this place with you! All meals will be hearty and delicious, provided and prepared by Whitney, Jason and Rich. Knowingly driving away from a river for the season, sometimes saying goodbye for months on end, is a tough one. Every river has its own soul and the fish that return to them very much do as well. The question "what's your favorite river?" comes up nearly everyday. There's no right or wrong answer to this, but I don't think I'll ever be able to choose just one. The fall season's still hanging on but those drives away are coming, if they haven't already happened. Bob Schaefer with a dandy. Nothing beats your first, but how many can say their first came on a dry? Big Dave getting after them again. Chuck Volkhausen, so shiny, so chrome. Jim Brown could do no wrong in this spot. Promptly named "Jim's"
Many, many thanks to everyone who spent time with me on the water. It was a great season.